Our team has conducted over 200 projects and studies with clients, primarily in the process industries that cover refining, petrochemicals, oil& gas, pipeline operations, electric power generation, and mining. Our projects typically revolve primarily around the console and field operations roles in the plant environment. HCS focuses on these operator positions, from a human-centered design perspective, identifying the requirements and constraints for these operations roles in the workplace. 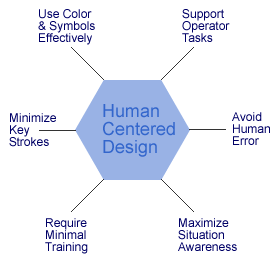 We apply human factors principles and human-centered design methodologies to optimize the interaction between people, management systems, work processes and technology. These principles and methodologies produce solutions that account for the fact that human performance is dependent on perceptual and cognitive abilities, physiological constraints, innate traits, acquired knowledge and learned behaviors. Our staff has worked in and around industrial production facilities for over thirty years. In that time, we have provided consulting services to over one hundred sites, including some of the best-known companies in the world.